1. What is the difference between the Course and the content on TSR website? On the TSR website, I write about diverse topics relating to short-term technical trading. Mainly, I review common trading strategies and concepts with a price action perspective. In the Day Trading with Price Action Course, you will find my personal trading framework including the way I find trends, patterns, and S/R to trade. It is all explained in great detail with many chart examples. 2. Are there any pre-requisite trading knowledge for this course? In the course, I start from basic principles before building up to more complex ideas. Thus, there is no strict pre-requisite knowledge for taking this course. However, if you are completely new to trading, you may wish to get acquainted with basic trading jargon by reading the articles listed in this price action trading guide. To benefit from this course, an open mind and perseverance is more important than any requisite trading knowledge. 3. Does this course teach me how to scalp for small profits? 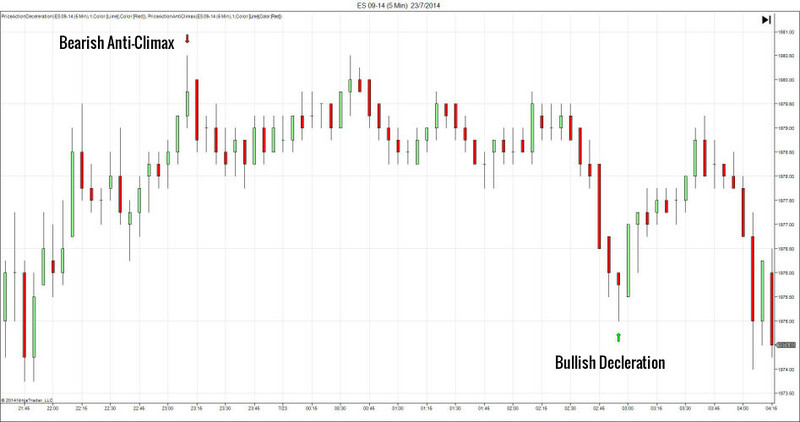 The trading strategy taught in the course finds retracements in intraday trends. When the market is not clearly trending, we stay out of the market. 4. Does this trading framework work for swing trading? Most of the concepts in the framework are valid regardless of the time-frame. Hence, they can be applied for swing trading. However, there are still important differences, especially when it comes to interpreting the price patterns with gaps and the placement of stop-losses. Experienced swing traders should have no problem adapting the framework for swing trading, but beginners might find that challenging. The examples in the course are based on time charts. Tick and Volume charts produces similar price patterns. Hence, the trading framework can be applied to Tick and Volume charts as well. However, bar types that are forced to break off after a certain price range (e.g. Range and Renko) are fundamentally different in their appearance. Thus, the course methods do not work well with these bar types. 6. Do you use technical analysis, fundamental analysis, or a mix of both? I use technical analysis. I do not give any weight to fundamentals or news, except to refrain from trading just before important releases. 7. Can your trading strategy be automated? My trading approach is discretionary. The strategies are not meant for automated trading. 8. Is this trading framework applicable for all markets? Yes, provided that the market is liquid and volatile enough for day trading. You can adapt the same trading framework for other markets like stocks and forex. Note that some tools/patterns might work better in certain markets. Such market-specific nuances are not the focus of this course. Market-specific nuances change over time. Hence, I believe that market-specific nuances should be acquired through direct trading experience and observation. Accordingly, this course focuses on trading concepts and is not market-specific. However, as I trade futures actively, the course examples come from the futures market. 9. I am a forex trader. Is this course useful for me? The focus is on price action trading, which is applicable to all markets. However, if you are looking for information specific to forex trading, like how to interpret fundamental data for forex trading, correlations among pairs and how does the forex market work, you will not find it here. 10. Could your course be applied to binary options as well? I do not trade binary options and cannot offer a definite answer. But the course is applicable for the underlying markets of binary options. The best way to find an answer is to observe if general technical analysis works for the binary options markets you are trading. If it does, the course will be helpful as well. Also, I highly recommend that you should check out exchange-listed instruments like stocks, futures, or options. They are better regulated, and you can find more resources on how to trade them. 11. What markets do you trade with the method in the course? I have traded index equity futures (ES/NQ/FDAX), currency futures (6E/6A/6J), and commodity futures (CL). Currently, I am actively trading FDAX and CL. I also use a largely similar framework to swing trade U.S. stocks. 1. Is the Course presented entirely from within the 4 PDFs? Are there any video modules? The Course is entirely presented in the 4 PDF books. There are no video modules. I do not include videos in my course, at least for now, because I do not learn well from videos. I want to present my trading framework in a medium that I am comfortable with to ensure a high-quality end product. I have learned all my trading knowledge from reading and am confident of producing a high-quality course in writing. Also, I find reading books to be an active learning process compared to watching videos which is passive. Nonetheless, I assure you that the charts included in the Course Books are well-annotated, and the trading concepts are explained in great detail. You can download a free chapter here to take a look for yourself. 2. What does the Toolkit include? The Toolkit is a set of templates to help you implement the trading framework and ideas mentioned in the Course Books. It includes the following sections. 1. What are the Course Indicators for? 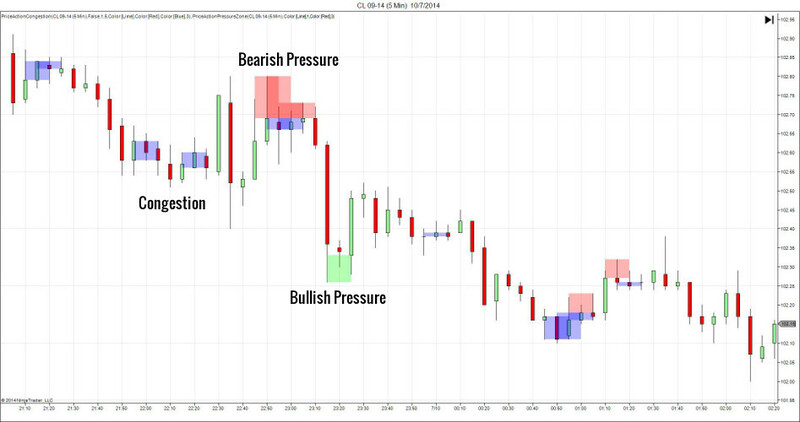 They mark out five price patterns taught in the Course to help you with your learning and trading. They also implement two trading concepts from the course. One helps to determine if a time frame is suitable for price action analysis; the other one helps you to quickly assess if a trade has positive expectancy. 2. Can you provide screenshots of the Course Indicators in action? 3. Can I improve my trading with the Course Books only? Or must I use the Indicators? You can pick up the methods with the Course Books only. You do not need the Indicators to understand the Course Books. The Indicators are optional. The main aim of the Indicators is to help you pick up the concepts and price patterns in the course more efficiently. 4. Can I buy the Indicators only? You should not buy the Indicators without the Course Books. This is because their underlying concepts are explained in detail in the Course Books. The Indicators are available separately at $169, primarily for traders who had bought the Course Books without the Indicators. Please email me for the purchase link if you wish to get the Indicators only. 5. For the Pro Bundle, do I need to choose between NinjaTrader and TradingView at the point of purchase? No. You do not need to specify your choice at the point of purchase. You can take your time to consider and choose your preferred platform after your purchase. TradingView is a powerful cloud-based charting platform that works with major web browsers. It is fast becoming one of my favorite platforms for charting. The variety of markets it offers is impressive. View the full list of markets at the bottom of this page. It is also compatible with a number of brokers for trading. To see the available brokers for your region, click here to launch a chart and click the "Trading Panel" tab below the chart. Do I need a paid TradingView subscription to use the indicators? TradingView offers both free and paid plans. You can check out their differences here. One limitation of the free plan is that it allows you to place at most three indicators on your chart. We've consolidated the indicator suite into three indicators so that even users on the free plan can employ the whole indicator suite. I advise you to check out the platform using the free plan first. If you like it and wish to upgrade, please consider using our affiliate link to sign up. You will not pay more, and the commissions we get go towards maintaining and improving the indicators. What is the difference between the NinjaTrader and the TradingView Indicator Suite? They implement the same concepts and patterns on different platforms. Hence, it boils down to which platform is more suitable for your trading and market analysis. 1. What does the Email Support include? This is a self-study course. Thus, through the Email Support, I will explain and clarify concepts found in the course and help you set up the Indicators. Providing feedback on your trading performance (i.e. personal mentoring) is beyond the scope of the Email Support. I usually try to reply within one working day. UPDATE: Email support is no longer included with the course. We are building up a membership area to offer more comprehensive support. It will be available soon and will be sold separately. If you've bought the course with email support (before 30 May 2016), nothing has changed. You will continue to receive the email support according to the period stated at the point of your purchase. 2. Do you offer personal mentoring? I offer a short mentoring service to support the course. However, vacancies are limited as trading takes priority in my time. In my opinion, mentoring is not productive unless similar perspectives and mindset are present. My aim for this course is to enable aspiring traders to become independent and capable traders, and not to trap them into paying me more for personal mentoring. I would be happiest if the course is able to help you become successful, to the extent that you do not need mentoring (from me or any one else). 3. Do you offer trading signals? No. I must emphasize that I am not offering guaranteed profits without hard work. I am offering a quality education that brings you closer to becoming an independent trader. 4. What does the lifetime update include? If you bought the course with lifetime updates, you will get free access to all future editions of the course books. 1. What software do I need for the PDF Course Books? You can read the PDF Course Books online in your browser. The PDF Course Books can also be downloaded onto your personal devices. In that case, you can read them with standard PDF readers on desktop/tablet/mobile. The official Adobe Reader works well. 2. What software do I need for the Toolkit? The Toolkit is contained within a macro-enabled Excel file. You will need Microsoft Excel 2007 and above. 3. What software do I need for the Course Indicators? If you select the TradingView Indicator Suite, you need a modern internet browser to access the TradingView website. Click here to download NinjaTrader for free. The free license allows you to trade in simulation mode and provides an excellent learning platform. As NinjaTrader is our partner, you can get a demo account with free futures data. 4. What if I do not use NinjaTrader or TradingView? The Indicator Suite is optional, and you can certainly apply the trading framework in the Course Books without it. Moreover, the logic of each indicator is explained clearly in the Course Books, allowing you to code them in your own charting platform if you wish. Right now, the Indicator Suite is only available for NinjaTrader and TradingView. If there is great demand for a specific platform, we will try to develop them in the future. Please let me have your feedback for this. Send your question to us with this form.